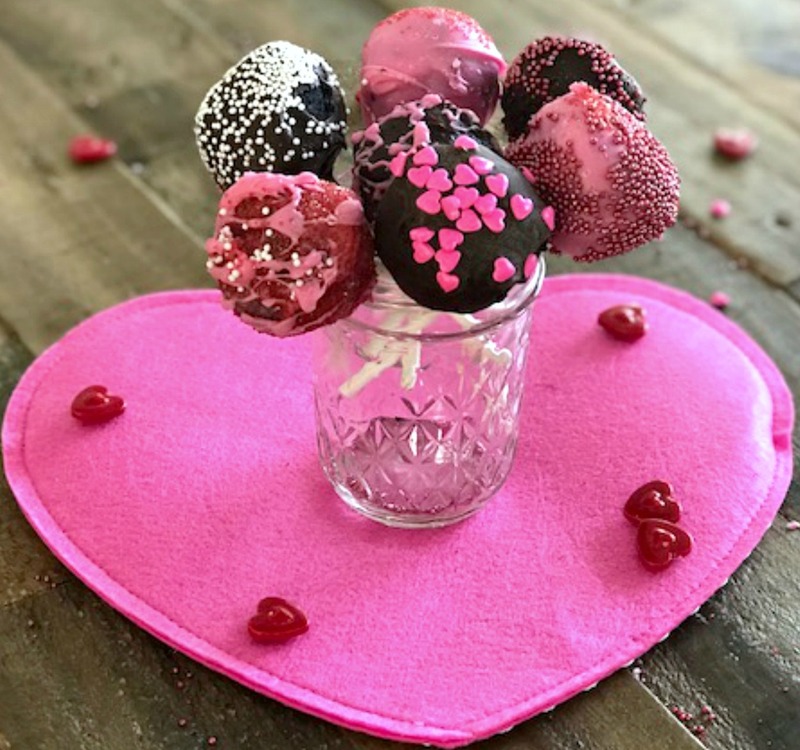 Valentine Cake Pops – Show someone you love by baking them a special gift. 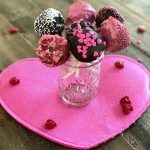 These delectable cake pops are simple to make and fun too. Bake up a batch of these gems and share the sweetest gift. Enjoy! It’s that time of year again. A time to show the ones you love and care about how much they mean to you. 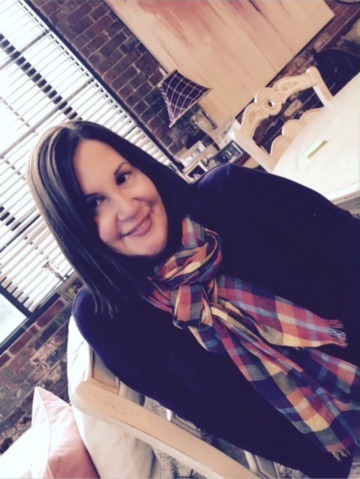 I always felt a homemade gift means so much more significant than a store bought item. I love when the kids make me cards or cutout hearts and I do the same for them and my husband. I also like to cook their favorite meal and of course a beautiful and delicious Valentine Dessert. This year it was Cake Pops. Look at the pretty decorations. You can go wild with the decorations or just subtle. They tastes delectable anyway. Your local craft store or market has a good selection of sprinkles and even the melting chocolate. These were made with dark and white chocolate. This way you and your loved ones have a choice. Have a Happy Valentine’s Day!! 1 tub fluffy or whipped chocolate frosting, you may not need the whole tub, you will know from the texture when mixing up. Start with half tub. Preheat oven to 350 degrees, spray a 9 x 13 nonstick baking pan with cooking or baking spray. Set aside. Cover foam block with foil. Set that aside as well. In a large mixing bowl, combine all ingredients to dry mixture. Add vanilla and instant coffee if using. Cool in pan on wire rack for 30 minutes then, invert and cool cake on rack until cooled completely. Line cookie sheet with waxed paper. With fingers, crumble cake into a large bowl. Add frosting; mix well with hands until dough forms. Roll into balls. Place on cookie sheet. Freeze about 15 minutes. In microwavable bowl, microwave white chocolate as directed on package. Stir in 1/2 teaspoon of the shortening or coconut oil until smooth and mixture slightly runs off spoon. Repeat with dark chocolate and remaining 1/2 teaspoon shortening. Remove cake pops from freezer. 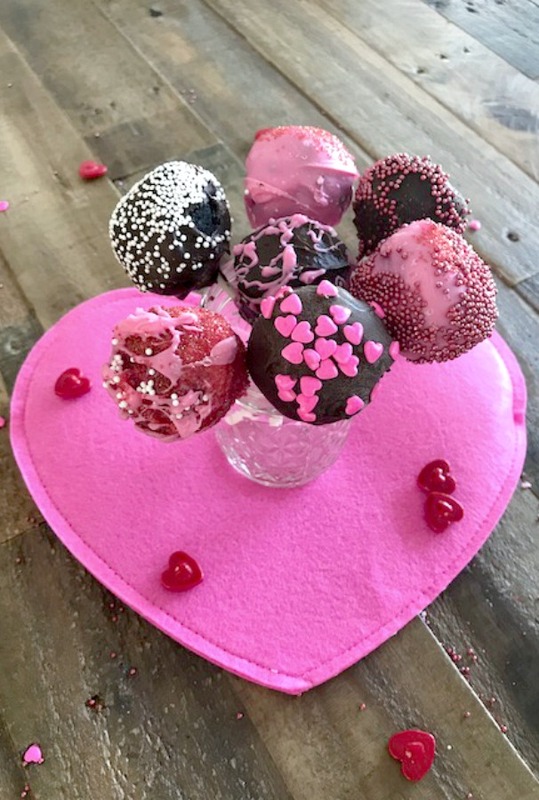 For each pop, dip tip of 1 lollipop stick halfway into melted candy and insert stick halfway into 1 cake ball. Place back on lined cookie sheet. Dip balls in melted chocolate until well coated; tap off any excess. Decorate with decorations or opposite color of chocolate as desired. Poke ends of sticks into foam block. Let stand until set. You can pop them in the fridge for 5 minutes then, take them out. Store at room temperature. 1.Preheat oven to 350 degrees, spray a 9 x 13 nonstick baking pan with cooking or baking spray. Set aside. Cover foam block with foil. Set that aside as well. 2.In a large mixing bowl, combine all ingredients to dry mixture. Add vanilla and instant coffee if using. 3.Bake cake as directed on box. 4.Cool in pan on wire rack for 30 minutes then, invert and cool cake on rack until cooled completely. 5.Line cookie sheet with waxed paper. With fingers, crumble cake into a large bowl. Add frosting; mix well with hands until dough forms. Roll into balls. Place on cookie sheet. Freeze about 15 minutes. 6.In microwavable bowl, microwave white chocolate as directed on package. Stir in 1/2 teaspoon of the shortening or coconut oil until smooth and mixture slightly runs off spoon. Repeat with dark chocolate and remaining 1/2 teaspoon shortening. 7.Remove cake pops from freezer. 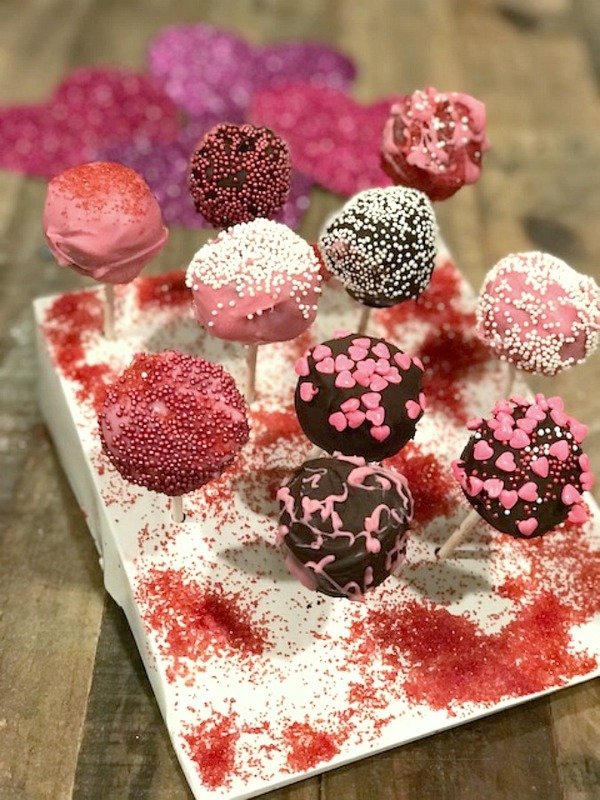 For each pop, dip tip of 1 lollipop stick halfway into melted candy and insert stick halfway into 1 cake ball. Place back on lined cookie sheet. 8.Dip balls in melted chocolate until well coated; tap off any excess. Decorate with decorations or opposite color of chocolate as desired. Poke ends of sticks into foam block. Let stand until set. You can pop them in the fridge for 5 minutes then, take them out. Store at room temperature.